USA Network has been moving away from blue-sky drama territory and delving into the world of remakes for some time, ordering reboots of films (the Ryan Phillippe vehicle Shooter) as well as international series (Adi Hasak’s forthcoming Eyewitness) in just the last year. It’s a dicey move, because the trend has yielded more pointless retreads than inspired retellings—the cable network turned off its own Sirens remake just last year. With Queen Of The South, USA seems to be doubling down on the fad, as the hour-long crime drama is not only a remake, but an American adaptation of a popular telenovela. The formula’s worked for The CW’s Jane The Virgin remake, but given Queen Of The South’s subject matter, it’s not likely that USA’s courting the same audience. On the surface, the new series looks like a gender-swapped Breaking Bad, detailing as it does the rise of a drug lord. But that glib assessment sells both shows short, especially since Queen Of The South’s source material, Arturo Pérez-Reverte’s novel La Reina Del Sur, predates AMC’s groundbreaking series. Still, there’s no denying the influence of series like Breaking Bad and Weeds, as well as any number of crime dramas like The Godfather and Scarface. There’s a Goodfellas-style narration that clarifies just how little moral compromise is going on inside the head of the lead character, Teresa Mendoza (Alice Braga). Offers that cannot be refused are extended, while bids for legitimacy are made (that a career in politics is still seen as a more reputable one is as laughable as it is old-fashioned). And at one point during the pilot, Teresa even smokes and drinks in a bubble bath, à la Tony Montana, while watching Scarface on a flat-screen TV. But it’s not just the references that fly fast and furious. Queen Of The South also trades heavily in tropes, like various strong-and-silent types, the handsome devil too clever for his own good (Jon Ecker as El Güero), a woman scorned (Veronica Falcón as a rival cartel leader), and the avuncular criminal mastermind (guest star Joaquim De Almeida). Teresa finds herself in multiple perilous situations in the pilot alone, after being transported from the two-bit hustler life of a roadside money-changer to that of a cartel member’s girlfriend. But she’s the quintessential quick study, and fits seamlessly into this underworld. It’s as if she had been born to do it. This extensive borrowing from other sources is balanced by the series’ decision to move the action closer to home. 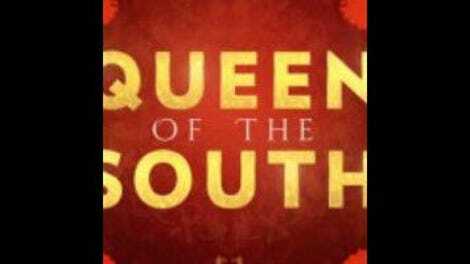 Queen Of The South reroutes Teresa’s escape, crossing the U.S.-Mexico border to take her from Sinaloa to Texas. It was probably a pragmatic decision, made in an effort to stay on budget. But there are broader implications—the new setting better plays up the bilingual and multicultural nature of the story. The series has a mostly Latino cast, but a mostly Spanish-language program would be a tougher sell for American audiences. By relocating to Texas, Queen Of The South is spared having to dance around the language barrier. Instead, the players will have to contend with a more tangible obstacle, running drugs from the coasts of Mexico to their American counterparts in the southwestern United States. The drug trafficking in the story is mostly removed from its political implications—for now—but America and Mexico have been trading in labor and culture for a much longer time. The violence at the border isn’t glossed over, but the economic consequences of NAFTA aren’t highlighted either. That could change at some point in the series’ 13-episode run, but for now, Queen Of The South is almost operating in a vacuum. But for the purposes of the story, these fictional traffickers will bring back with them all kinds of American culture, like the aforementioned shows and movies. And Queen Of The South will push them to realize that their lives are the stuff of those dreams. It’s a case of life imitating art imitating life, even though none of these people are role models—almost everyone is morally repugnant. And while the riches may be enviable, that joy (and life) is short-lived. That’s a lesson Teresa will need to learn after the events of the pilot, which was the only episode made available for review. As such, it’s hard to tell just how smoothly this cultural exchange will run from week to week, but the decision to arrange it between these two particular countries has placed Queen Of The South in the perfect position to continue to tell her story.